As a result of Bethany moving out this weekend, we spent today tidying things away and putting one or two items into her room. 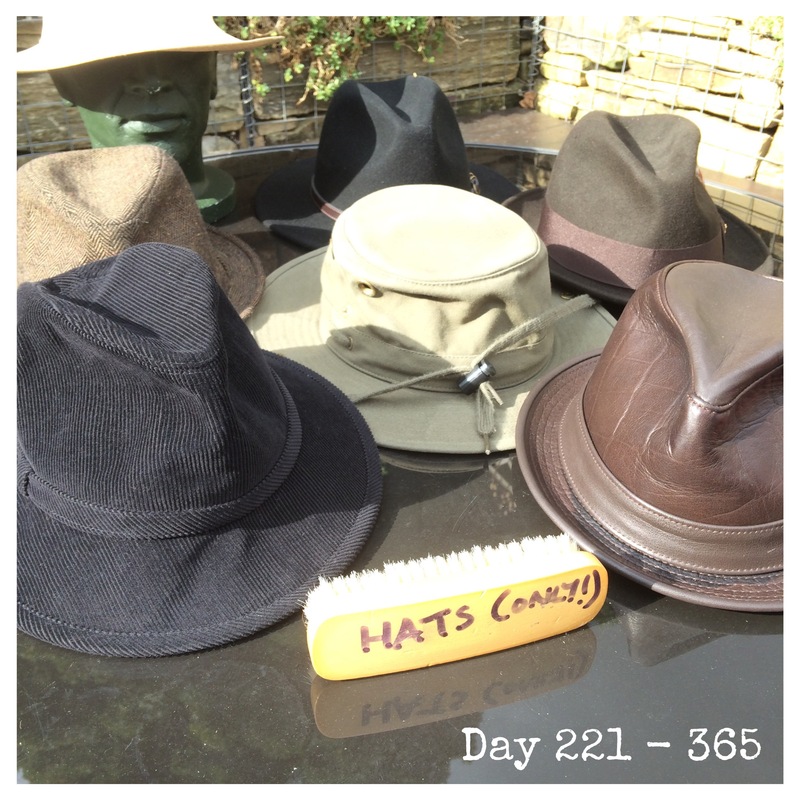 Part of this meant I collected all my hats together and gave them a good brushing out on the patio. Here they are enjoying the sunshine. PS – these are just my hats, I also have my caps. I have a few more caps than I do hats.